My mother loved tea, chocolate, mysteries and Jean Arthur, and I inherited all of that. 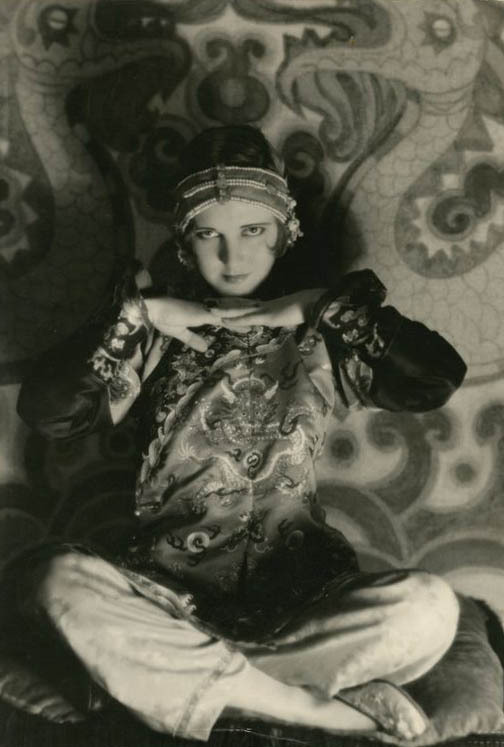 In particular, I’m a fan of Sax Rohmer and Fu Manchu, and much to my delight I recently found Jean Arthur played Lia Eltham, a young damsel threatened by Fu Manchu (Warner Oland), and saved by Jack Petrie (Neil Hamilton) and Nayland Smith (O.P. 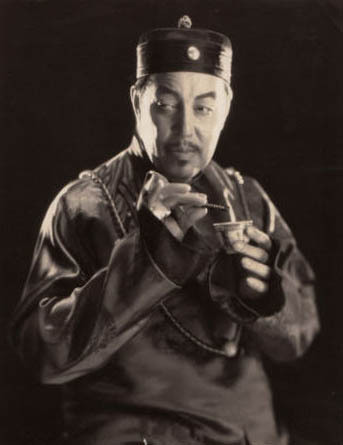 Heggie) in The Mysterious Dr. Fu Manchu (1929) and The Return of Dr. Fu Manchu (1930). How I wish the films were on DVD. The photo above is from a shoot to publicize the first film. 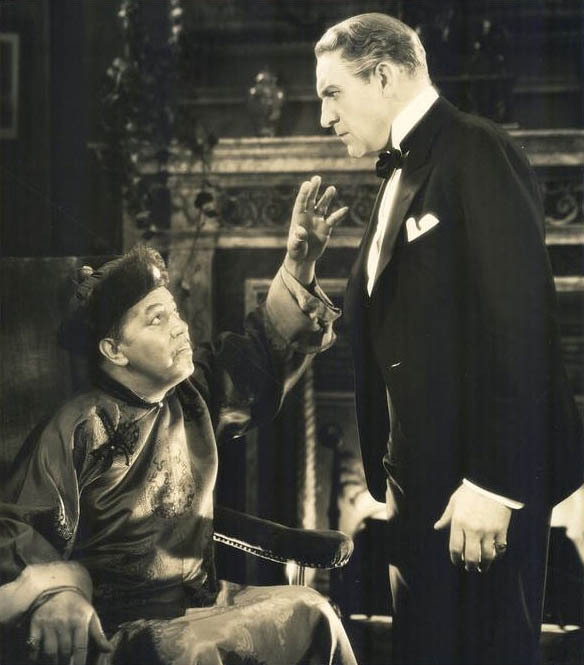 Fu Manchu hypnotizes an unfortunate man dressed for dinner in The Return of Dr. Fu Manchu. 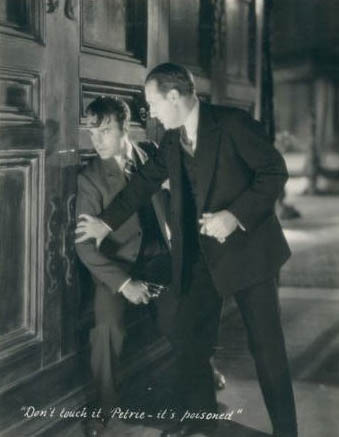 Also in The Return of Dr. Fu Manchu, Nayland Smith saves Petrie from a poisoned dart in the woodwork. 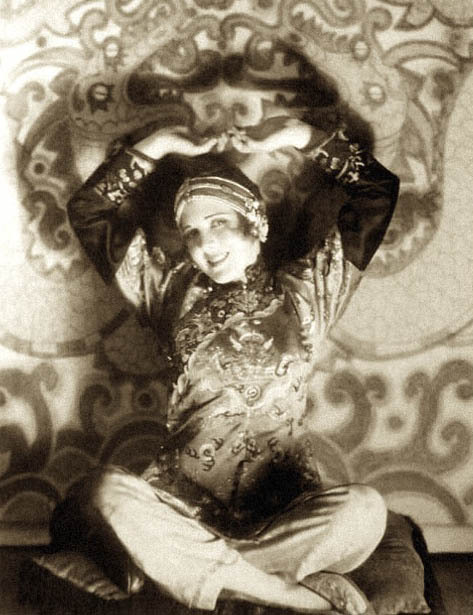 And one more glimpse of Jean Arthur from the photo shoot for the first film. This entry was posted in Art, Film, Photography. Bookmark the permalink.